The nearest I will get to a heel is a wooden soled sandal, and Swedish Hasbeens is my go-to brand for a summer clog. It was founded by Emy Blixt in 2006 when she stumbled upon 300 pairs of beautiful clogs in an old factory in Sweden that reminded her of her friend’s mum Anita (who always looked “hot” in white clogs in the 1970s). Before she knew it, she had sold the lot, so started to make more in the authentic style but with updated colours and designs. 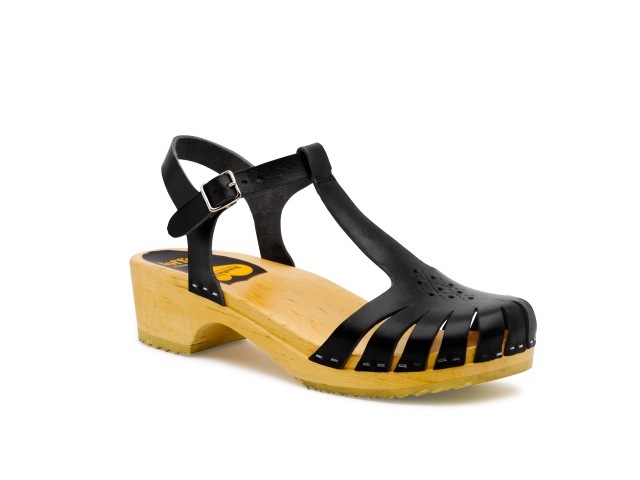 Mary Jane clog, £78 (swedishhasbeens.com) BUY ME HERE! 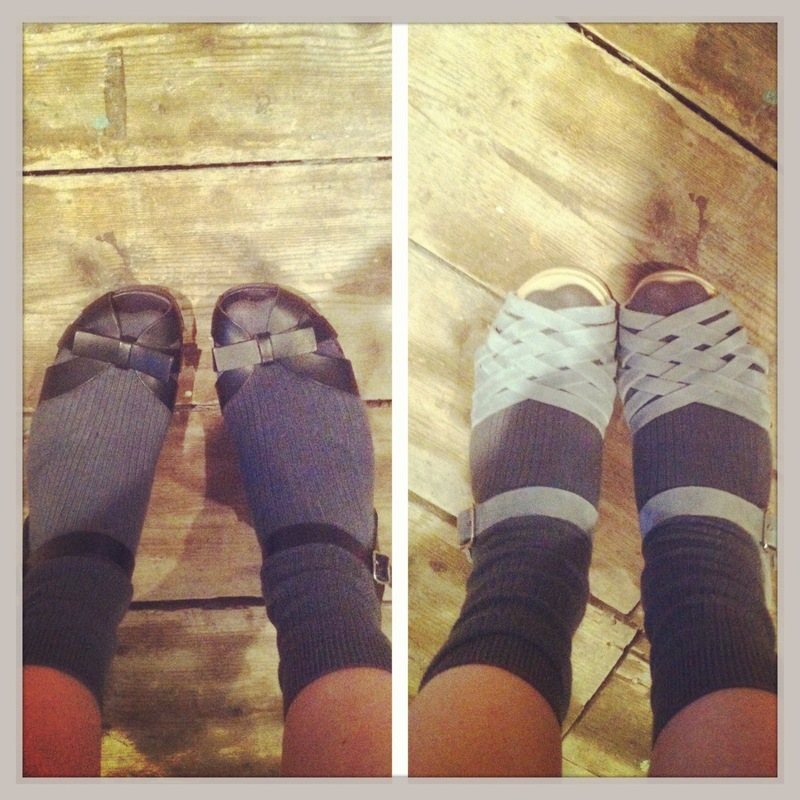 Sweet sandal, £108 (swedishhasbeens.com) BUY ME HERE! Also available in yellow and in red. That tiny heel is barely noticeable but the fact that you are slightly elevated and walking on a noisy wooden sole gives a whole new feeling to wearing flats. It’s almost like wearing heels! But without the pain and fear of falling over. For those of you who DO wear heels, there are taller heel heights available too. Ornament, £78 (swedishhasbeens.com) BUY ME HERE! For summer 2013, the brand has launched even lower heels than usual, as well as lower price points for its loyal younger fan base. I chose a pair of Papillon sandals (below) from the new range because I love that painted sole. The bright colours are gorgeous but I opted for a pair in black in the end because they will be such a useful pair of shoes to have in my wardrobe. Wear with socks or ribbed tights now until the weather warms up! Papillon, £78 (swedishhasbeens.com) BUY ME HERE! Also available in red, black and green. Wow! I want the yellow papillions. But are they comfortable as well as gorgeous??? I’ve only just got my first pair this year and they were the Swedish Hasbeens for H&M ones which came out a few years back. I saw them on another blog and searched them out and eventually found my new pair on Ebay. I love them though I have to say, I’ve not had the opportunity to venture outdoors in them yet to assess their true comfort. But here’s hoping that they are!